किमिति पञ्चाङ्गम् ? What is an ephemeris ? पञ्चाङ्गम् is actually a calendar. In a calendar we get details of year, month, date and day of the week. In a पञ्चाङ्गम् one gets five details for each day – तिथि, वासर, नक्षत्र, योग and करण. तिथि in lunar calendar is similar to date in solar calendar. Most of the Hindu calendars are inherited from a system first enunciated in Vedāṅga Jyotiṣa of Lagadha, a late BC adjunct to the Veda-s, standardized in the Sūrya Siddhānta (3rd century) and subsequently reformed by astronomers such as Āryabhaṭa (AD 499), Varāhamihira (6th century), and Bhāskara II (12th century). A typical page in a पञ्चाङ्ग, as shown below, gives details as below for 15 days, i.e. for one पक्ष. It details for every day, not only the five elements of a पञ्चाङ्ग, i.e. तिथि, वासर (day of the week), नक्षत्र योग and करण, but also some more relevant details, especially the specialty of the day. Most of the above details are mentioned for every day, as at sunrise. There has been some discussion about तिथि-s already. But whereas in solar calendar there are 28/29, 30 or 31 days in a month, तिथि-s are thirty only. In solar calendar, a day is of 24 hours and date changes at midnight. However, in lunar calendar, all तिथि-s are not of same duration. Speed of earth’s rotation about itself is somewhat faster in months from कार्तिक to माघ.In आषाढ it is slowest. तिथि is not always of 60 घटिका-s, being sometimes of 64-65 घटिका-s, and being sometimes of 56-57 घटिका-s.
60 घटिका-s is the average measure of a तिथि. Average तिथि of 60 घटिका-s is also one average day-night of 24 hours. n Apte’s dictionary also घटिका is mentioned as a measure of time equal to 24 minutes. Sixty times twenty-four minutes becomes 24 hours. There is also another definition of a तिथि. One तिथि is the time required for angle between sun and moon to increase by 12 degrees. Every month, on no moon day, sun and moon are seen in the same zodiac sign. That is why there is no moon. मास in a panchAngam has two fortnights (pakSha-s) of 15 तिथि-s each. They are called as शुक्लपक्ष and कृष्णपक्ष. कृष्णपक्ष is also called as वद्यपक्ष. 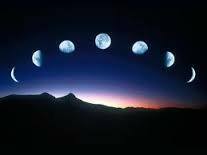 In the first pakSha, the phases of the moon keep waxing from first phase to full moon. Full moon day is called as पूर्णिमा. In the second pakSha, the phases of the moon keep waning across 15 तिथि-s to no moon. The no moon तिथि is called as अमावस्या. तिथि-s from first to fourteenth in both शुक्लपक्ष and कृष्णपक्ष have similar names, प्रथमा (प्रतिपदा वा), द्वितीया, तृतीया, चतुर्थी, पञ्चमी, षष्ठी, सप्तमी, अष्टमी, नवमी, दशमी, एकादशी, द्वादशी, त्रयोदशी, चतुर्दशी. The 15th तिथि-s are पूर्णिमा and अमावस्या. When duration of a तिथि is longer than 60 घटिका-s, sometimes same तिथि sees two sunrises. Such तिथि is called as वृद्धातिथि. Some तिथि of duration less than 60 घटिका-s and starts just a little after sunrise and ends before next sunrise, such तिथि is called as क्षयतिथि. Names of groups of तिथि-s possibly connote the astrological influence of तिथि-s. For example तिथि-s of नन्द group connote happy times, तिथि-s of भद्र group connote benevolence, तिथि-s of जय group connote victory or overcoming obstacles, settlement of lingering issues, etc. तिथि-s of रिक्त group connote ‘no result or outcome’. I had compiled specialties of different days of a year. It would be better to put that compilation in an Annex. कालगणनायै सौरपद्धतिः वा चान्द्रपद्धतिः प्रयुज्यते | Timekeeping systems are solar or lunar. सौरपद्धत्यां दिनारंभः मध्यरात्रौ भवति | मध्यरात्रिवेलायाः वैज्ञानिकं निश्चितीकरणं तु प्रायः अशक्यमेव | मध्याह्नसमयस्य निश्चितीकरणं कतिचित्तु वैज्ञानिकं कस्यापि वस्तोः छायायाः अवलोकनेन | तथापि कथं भवेत् मध्यरात्रिवेलायाः वैज्ञानिकं निश्चितीकरणम् ? In solar timekeeping new day begins at midnight, which has no scientific definition. Noon time can be decided by observing shadow of any object. How can one decide the time of midnight ? भारतीयां चान्द्रपद्धत्यां दिनारंभः सूर्योदये भवति यः सर्वैरनुभूयते दृश्यते च | In Indian lunar timekeeping day starts at sunrise, which is seen and experienced by everybody. सौरपद्धत्यां कस्मिन् मासे कतिदिनानि तस्यापि न किमपि विज्ञानम् | In solar timekeeping, there is no scientific basis by which one can say that certain month should have so many days. भारतीयां चान्द्रपद्धत्यां प्रत्येकस्मिन् मासे द्वे पक्षे, शुक्लपक्षः कृष्णपक्षश्च | शुक्लपक्षे प्रतिपदातः पूर्णिमापर्यन्ताः पञ्चदश तिथयः | कृष्णपक्षेऽपि प्रतिपदातः अमावस्यापर्यन्ताः पञ्चदश तिथयः | प्रत्येका तिथिरिति चन्द्रस्य कला | एतेषां सर्वेषां प्रत्यक्षं दर्शनं शक्यम् | In Indian lunar timekeeping there are two fortnights in each month. In the first fortnight moon waxes from its first phase to full moon. In the second fortnight the moon wanes from its phase of little less than full moon day to no moon day. All these phenomena can be seen and experienced. सौरपद्धत्यां मासानां नाम्नामपि न किमपि विज्ञानम् | Names of months in solar system have no scientific basis. भारतीयां चान्द्रपद्धत्यां मासानां नामानि नक्षत्रैः सह संबद्धानि | मासनामसु अपि विज्ञानमेव | In Indian lunar system, names of months are associated with names of constellations. So there is scientific basis even in names of months. तथाप्यस्त्यत्र किञ्चित् कुतूहलम् | यदि वर्षारंभः सूर्यस्य मेषराशिप्रवेशे मेषराश्यां तु अश्विनी-भरणी-कृत्तिका-नक्षत्राणां चरणानि | तेन कथं ननु मासस्य नाम चैत्रमासः इति ? ज्ञायते यत् चैत्रमासे पूर्णिमायां चन्द्रः चित्रानक्षत्रे, अतः मासस्य नाम चैत्रमासः इति | But there is some curiosity. If New Year begins when Sun enters the zodiac Aries, this zodiac sign has 9 quarters from those of constellations अश्विनी, भरणी and कृत्तिका. How come then the name of the month is चैत्र ? 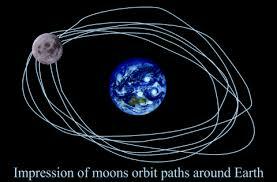 I am told that in चैत्र-month, on the full moon day, the moon is in constellation चित्रा. एवं तु भारते चान्द्रमासस्य द्वे पद्धती | एका नवेन्द्वारंभा वा अमान्ता वा शुक्लादि, अन्या पूर्णिमान्ता | There are two kinds of Lunar months followed in India – one beginning with the New Moon (i.e. shuklAdi system or ending with no moon, hence also called as the amAnta system) and the other, Full Moon-ending (covering one Full Moon to the next) called the PurnimAnta system. उपरि सर्वत्र मया “भारतीयां चान्द्रपद्धत्यां”-इति उल्लेखः कृतः, यतः अरबस्थाने वा इस्लामधर्मीयाणामपि चान्द्रपद्धतिरेव | I have mentioned above the phrase “Indian lunar” system, since in Arabic regions or among followers of Islam also, the system is lunar. भारतीयां चान्द्रपद्धत्यां वर्षारंभः सूर्यस्य मेषराशिप्रवेशे भवति | वर्षं संवत् इत्यपि कथ्यते विशेषतः विक्रमराजानुसार्यां कालगणनायाम् | विक्रमसंवतः वर्षारंभः कार्तिकमासारंभे भवति | In Indian lunar system New Year begins when Sun enters the Aries zodiac sign. A year is also called as संवत्, especially by people who started counting of years owing regards to King Vikram. New year of विक्रमसंवत् begins with the beginning of month of कार्तिक. विक्रमसंवतः संख्या प्रायः ख्रिस्ताब्दात् षट्पञ्चाशत्तावदधिका | Counting of विक्रमसंवत् is approximately 56 years older than the AD counting of Christian era. यः वर्षारंभः सूर्यस्य मेषराशिप्रवेशे तथा चैत्रमासारंभे भवति, तद्वर्षं शकेत्यपि कथ्यते | महाराष्ट्रे शकसंख्या प्रायः शालिवाहननृपानुसारी | सा ख्रिस्ताब्दात् प्रायः अष्टसप्ततितावन्न्यूना | A year which begins with entry of sun in Aries zodiac sign or begins with the beginning of the month of चैत्र, is also called as शक. In महाराष्ट्र, count of शक-years started owing regards to King शालिवाहन. This count is some 78 years less than the AD counting of Christian era. अरबस्थाने या चान्द्रपद्धतिः तस्यां वर्षं हिजरीति नाम्ना उच्यते | हिजरी-वर्षारंभः प्रायः विक्रमसंवद्वर्षारंभसमानः एव | तथापि हिजरी-वर्षसंख्या ख्रिस्ताब्दात् नवसप्तत्यधिकपञ्चशत-(579)-तावन्न्यूना | A year in the lunar system in Arabic regions is called as हिजरी-year. हिजरी-New Year begins almost simultaneous with विक्रमसंवत्. However the count of हिजरी years is approximately 579 years more recent than the AD counting of Christian era. भारतीयां चान्द्रपद्धत्यां केवलं तिथयः चन्द्रमवलोक्य गण्यन्ते, In the Indian lunar system only the तिथि-s are based on the observation of the moon. दिवसः तु एकस्मात् सूर्योदयात् अन्यतमसूर्योदयपर्यन्तः, वर्षमपि सूर्यस्य एकस्मात् मेषराशिप्रवेशादारभ्य अन्यतममेषराशिप्रवेशपर्यन्तमेव | One day is however from one sunrise to the next sunrise. Count of one year is also from one entry of sun into Aries zodiac to the next. एकस्मान्नवेन्दुतः अन्यतमनवेन्दुपर्यन्तः त्रिंशत्तिथीनां कालः चान्द्रमासः | सः त्रिंशद्दिवसानां नैव | Time from one new moon to the next, across thirty phases is the lunar month. One lunar month does not become 30 days long. तेन चन्द्रस्य त्रिंशत्तिथयः सप्तविंशतिपरतः द्वित्रिंशद्दिवसशतांशेषु (27.32 days = 27.32 * 24 = 655.68 hours) संपद्यन्ते | एका तिथिः 655.68 / 30 = 21.856 hours एतावति समये एव | Thus the 30 phases of the moon are completed in 655.68 hours, hence each phase has a duration of 21.865 hours. उदाहरणार्थम् – यद्यपि सूर्योदयसमये एकादशी तिथिः भवति, परन्तु सूर्योदयस्य पश्चात् 24 – 21.856 = 2.144 hours एतावतः समयस्य पूर्वमेव द्वादशी तिथिः आरभते, तर्हि अन्यस्मिन् सूर्योदये तु त्रयोदशी तिथिरेव भवेत् | For example, even if at time of sunrise the moon has its eleventh phase, but if the twelfth phase begins in less than 2.144 hours after sunrise, at the time of next sunrise, it will be the thirteenth phase only. पञ्चाङ्गे अमुकस्य दिवसस्य सैव तिथिः निर्दिश्यते, यस्याः सूर्योदयसमये गणनं भवति | In the ephemeris only that phase is mentioned as the phase of the day, which is phase of the moon at sunrise. एकस्मिन् सौरमासे, त्रिंशत् सूर्योदयेषु कासामपि तिथीनां उल्लेखः नैव भवेत् | ताः तिथयः क्षयतिथयः | उपरिनिर्दिष्टे उदाहरणे द्वादशी तिथिः क्षयतिथिः | So, during one solar month of 30 sunrises there would be no mention in the ephemeris about some phases. Such phases are called as क्षयतिथि-s.
यद्यपि उपरि लिखितं, यत् “एका तिथिः 655.68 / 30 = 21.856 hours एतावति समये एव”, सर्वाः तिथयः सदैव न समानाः | अस्ति http://web4me.co.in/?author=1&lang=nl&paged=2&pg=1, इत्यत्र उक्तं यत् तिथीनां कालावधयः एकोनविंशतितः चतुस्त्रिंशत्तावताम् घटीनां एवं विभिन्नाः भवन्ति | Although it was mentioned above that one तिथि becomes 655.68 / 30 = 21.856 hours on an average, as mentioned at http://web4me.co.in/?author=1&lang=nl&paged=2&pg=1, duration of all तिथि-s is not same. It varies from 19 hours to 24 hours. त्रिंशत्तिथीनां द्वादशावृत्तिभिः चान्द्रवर्षं भवति | Twelve cycles of 30 तिथि-s becomes one lunar year. सौरवर्षस्य गणने तु पृथिव्याः सूर्यं परितः एकस्य परिभ्रमणस्य कालस्यैव विचारः | अत्याधुनिकविज्ञानानुसारेण सः समयः 365.256363004 days एतावान् | Solar year considers one year as the time taken by earth to do one revolution around the sun. As per modern science one solar year is of 365.256363004 days. चान्द्रवर्षगणनायां प्रत्येकस्मिन् तृतीये वर्षे अधिकमासोऽपि गण्यते | The lunar system also considers an extra month during every third year. एवं चान्द्रवर्षत्रयं सौरवर्षत्रयेण कतितमं समं भवति | By this a triplet of lunar years becomes fairly equivalent to a triplet of solar years. कालगणनयोः सौरचान्द्रपद्धत्योः एतेन विवरणेन स्पष्टं यत् कस्मिन्नपि सौरवर्षानुसारिणे दिनाङ्के चान्द्रवर्षानुसारी का तिथिः, कः पक्षः, कः मासः, किं संवत्सरम् एतत्सर्वं केनचित् क्लिष्टेन गणितेनैव साध्यम् | From the above discussion of the lunar and solar methods of timekeeping, it should be clear that, on what date of solar calendar, what will be the तिथि, पक्ष, मास, and संवत्सर of lunar calendar can be derived only by some complex calculation. तथापि पञ्चाङ्गकर्तारः जानन्ति तद्गणितम् | However, people who prepare ephemeris are well-versed with that mathematics. प्रथमं तु पञ्चाङ्गमिति किम् ? कानि पञ्चाङ्गस्य पञ्च अङ्गानि ? कथं तेषां ज्योतिर्विज्ञाने उपयोजनम् ? 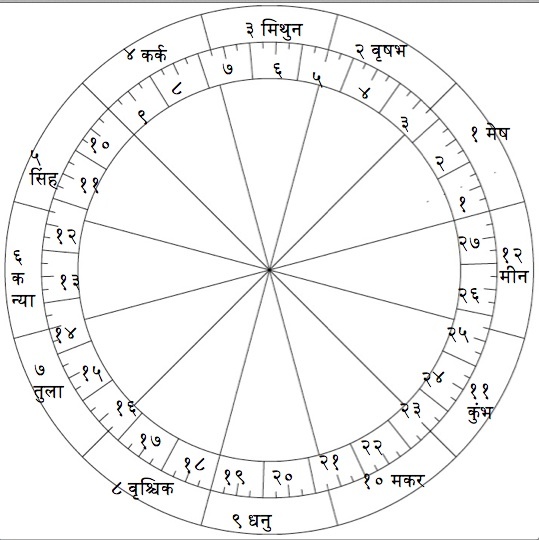 तदध्ययनम् अग्रिमे भागे | First of all, what is an ephemeris ? which five details does it detail ? what is the relevance of the five details in ज्योतिर्विज्ञान ? Study of these shall be the next. One simple style of a कुण्डली is rectangular with twelve divisions obtained from joining the diagonals and the mid-points of all sides. Some people regard कुण्डली itself as the horoscope. That is not correct. As mentioned in the previous article, horoscope may have as many as 61 details. Whereas, कुण्डली is a specific diagram. As can be seen the diagram has twelve divisions. Each division is called as स्थान (place or position) or भाव (aspect of life). The places of the twelve aspects are well-defined. So, the numbers of different aspects are not written in the diagram. However which aspect of life is to be read by study of which place in the diagram becomes the first step of study of कुण्डली. एते द्वादश भावाः प्रमुखाः | These twelve aspects are, rather, the main categories. तथापि प्रत्येकः भावः तेन सम्बन्धितान् अनेकान् अन्यान् भावानपि निर्दिशति | However each category connotes many other related aspects. तद्विवरणं यथावकाशं अनन्तरम् | We shall come to that detail in due course. प्रथमं तु ज्योतिर्विज्ञानस्य मूलमिति यत् खगोलविज्ञानं तस्मिन्नेव मम दृढा रुचिः | My great interest is in the astronomical (scientific) basis of astrology. (19) The zodiac sign of Sun (20) Zodiac sign of Moon (21) Zodiac sign of Mars (22) Zodiac sign of Mercury (23) Zodiac sign of Jupiter (24) Zodiac sign of Venus (25) Zodiac sign of Saturn (26) Zodiac sign of राहू (27) Zodiac sign of केतु. एवं तु कुण्डलीति नभसः चित्रम् !! So कुण्डली is a map of the sky !! Of course the horizon makes two parts of the sky. तत्रापि प्रत्येकस्मिन् विभागे षट् उपविभागाः मननीयाः | One should consider six sub-divisions in each of the two broad divisions – above and below the horizon. क्षितिजस्य अधः, प्रायः अदृश्यमानाः षट् विभागाः | Likewise one should consider six divisions of the sky below the horizon. कुलतः आकाशस्य द्वादश विभागाः मननीयाः | That makes total twelve divisions of the total sky. प्रत्येकः विभागः राशिः इति कथ्यते | Each division is called as राशि i.e. zodiac sign. प्रत्येकस्यां राश्यां अनेकाः तारकाः | There are many stars in each राशि, zodiac sign. ताराङ्गणस्य अवलोकने ऋषिभिः कासामपि तारकाणां समूहान् दृष्ट्वा तत्र काश्चन आकृतयः दृष्टाः | The sages viewing the stars saw some figures formed by groups of stars. ताभिः आकृतिभिरेव तारकासमूहानां वा राशीणां नामानि निश्चितानि | The zodiac signs were named by the figures seen when looking at groups of stars. राशयः द्वादश | Zodiac signs are twelve. प्रत्येकस्यां राश्यां ऋषिभिः कानिचन नक्षत्राण्यपि दृष्टानि | The sages also identified some constellations in each zodiac sign. द्वादशराशिषु कुलतः सप्तविंशति (२७) नक्षत्राणि | There are 27 constellations in the twelve zodiac signs together. 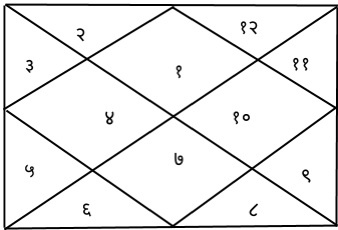 ततः प्रत्येकस्मिन् नक्षत्रस्य चत्वारि चरणानि कल्पितानि | Thereafter the sages considered four quarters of each constellation. तेन सप्तविंशति नक्षत्राणां अष्टाधिकशततावन्ति (१०८) चरणानि कुलतः | So total 108 quarters of 27 constellations. प्रत्येकस्यां राश्यां नव नक्षत्रचरणानि | So, 9 constellation-quarters in each zodiac sign. Since constellations are parts of zodiac signs, which zodiac sign contains how many quarters of which constellation has been defined as in the following table. उपरि निर्दिशितस्य कोष्टकस्यैव काचिद्वर्तुलाकृतिः निम्नमिव | Above table can as well be presented in a circular diagram as below. अस्याम् आकृत्यां एकतः सप्तविंशतिपर्यन्ताः क्रमाङ्काः नक्षत्राणाम् | The numbers 1 to 27 in this diagram are serial numbers of the 27 constellations. नक्षत्रक्रमाङ्कस्य सार्धं प्रत्येकस्य नक्षत्रस्य चतुर्णाम् चरणानां स्थितयोऽपि निर्दिष्टाः आकृत्याम् | Along side of the serial number of each constellation, positions of all four quarters of each constellation are also marked. वर्तुलाकृतिः समीचीनतरा यतः नक्षत्राण्यपि भ्रमन्त्येव ! A circular diagram is always more appropriate, because constellations also revolve !! यद्यपि प्रथमायां तालिकायां का राशिः कस्मिन् सौरमासे कस्मिनृतौ एतदपि निर्दिष्टम्, तद्विवरणं चान्द्रमासानुरूपं न भवति, यतः चान्द्रमासेषु अधिकमासाः अपि भवन्ति | तथापि सूर्यस्य मेषराशिप्रवेशे एव वर्षप्रतिपदेति चैत्रमासस्य शुक्लप्रतिपदा तिथिः भवति | Although Table 1 indicates which zodiac sign relates to which solar month and which of the six seasons, such correspondence between zodiac sign and month of the year would not be always possible for lunar months, since lunar calendars often have an extra month. Having said that, it is nevertheless correct that first day of the lunar year begins when sun enters the zodiac sign Aries. सौरमासचान्द्रमासयोः उल्लेखेन भवति निर्देशः कालगणनापद्धतीनाम् | Mention of solar month and lunar month hint to different methods of Measurement of Time. तदभ्यसनम् अग्रिमे भागे | Study of this shall be the next. कस्यापि जीवस्य चरितं ज्ञातुं ज्योतिर्विद् जन्मपत्रीं पठति | का सा जन्मपत्री ? जन्मपत्र्यां कानि विवरणानि ? An astrologer reads the biography of a living being by reading the horoscope. What is that horoscope ? What details are detailed in a horoscope ? I came across some kind of a format for a horoscope in a book मानसागरी by वंशीधर-पाण्डे, son of माधवराम. In this format by Shri. Vamshidhar Pande, there are 61 blank spaces. there are 61 blank spaces. Details 43 to 50 relate to the parents and family. Details 51 to 61 relate to the date and time when the being was given a name by which it would be known. एकोनविंशतितः त्रिंशत्तमानि (१९-३०) विवरणानि प्राप्तुं पञ्चाङ्गस्य आधारेण कानिचिद्गणितानि आवश्यकानि | Details 19 to 30 need some calculations to be done by using guidelines usually obtained in an ephemeris. कस्मिन् दिने कः ग्रहः कस्यां राश्यां एतद्विधं यद्विवरणं पञ्चाङ्गे प्राप्यते, तत्तु पञ्चाङ्गकर्तृणा अध्याहृते स्थाने एव योग्यम् | Details are given in ephemeris about which planets are in which zodiac sign. But the details are valid only for the place of reference presumed by the author of the ephemeris. अन्यस्मिन् स्थाने ये आदेशाः भवन्ति, ते गणितेन गणनीयाः | One needs to do calculations to find the positions of planets and zodiac signs as relevant to another place such as the place of birth. ज्ञायते यत्तद्विधं गणितं कर्तुं अवकहडाचक्रस्य उपयोगः | प्रायः अवकहडाचक्रमपि पञ्चाङ्गे एव प्राप्यते | I understand that the calculations would use अवकहडाचक्र, which is also usually obtained in the ephemeris. तस्य विचारः अग्रिमे भागे | We shall study this next.